Every year, 120,000 motorcycles roll off the production line in BMW’s giant Berlin factory. But some of the most interesting Beemers come from a tiny workshop just 15 kilometers to the east, on the banks of the River Spree. 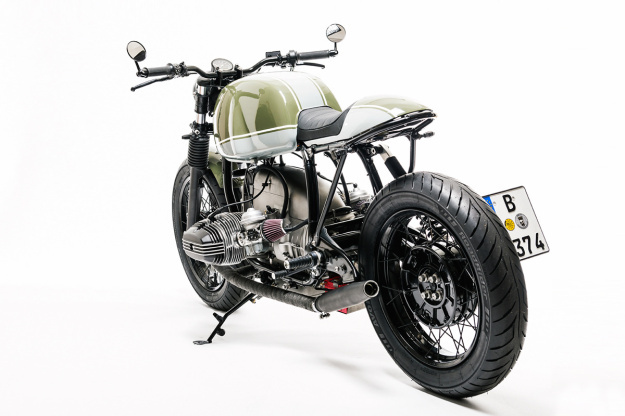 That’s where you’ll find Urban Motor‘s Peter Dannenberg, a man who tweaks the lines and details of BMWs and turns them into something extra speziell. 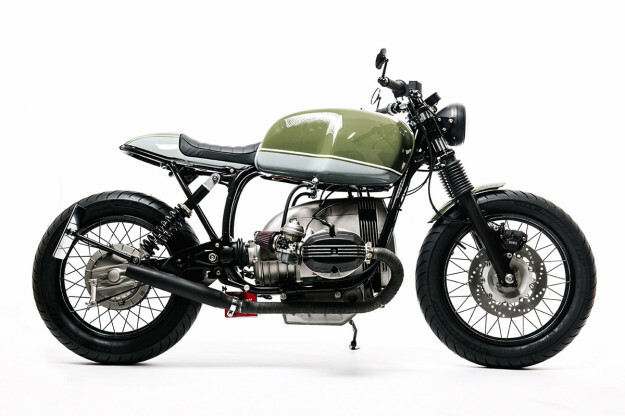 His latest bike is this incredibly honed ’87 BMW R80 monolever, appropriately dubbed ‘Clean Beem(er)’. It was built for a fellow Berliner Johannes—an architect who commissioned it as a 40th birthday present to himself. 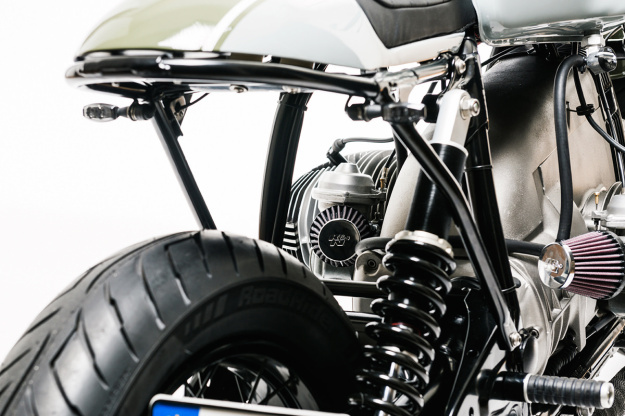 Urban Motor dropped the R80’s front suspension 2.5” to get a more aggressive stance. Then they upgraded the forks with Wilbers progressive springs, and added a Wilbers Ecoline shock out back. A set of BMW cross-spoke units replace the stock wheels. Measuring 18” at the front and 17” at the rear, they’re fitted with Avon Roadrider AM26 tires for maximum tarmac grip. Urban Motor opted to retain the R80’s stock /7 tank, but fabricated a slim tail unit with a leather seat, mounted on a bespoke subframe. 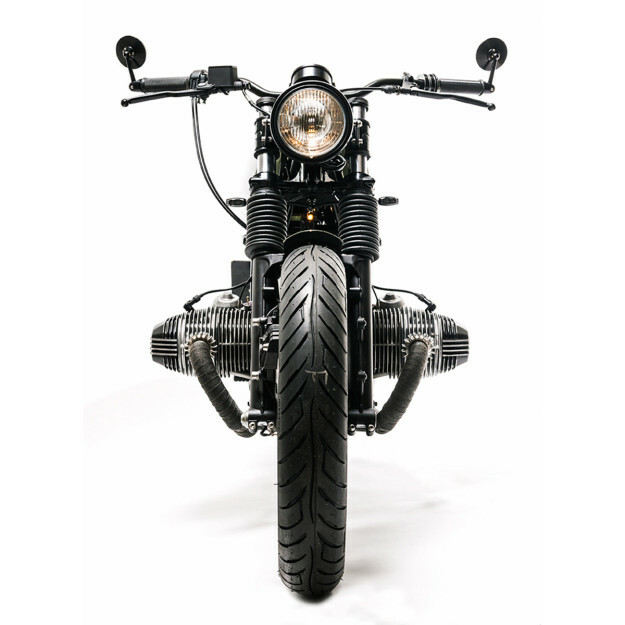 The area underneath it is bare, thanks to a full Motogadget electronics installation that includes the m-Unit and m-Button control units, an m-Lock keyless ignition, m-Switch Mini switchgear and a Chronoclassic speedo. 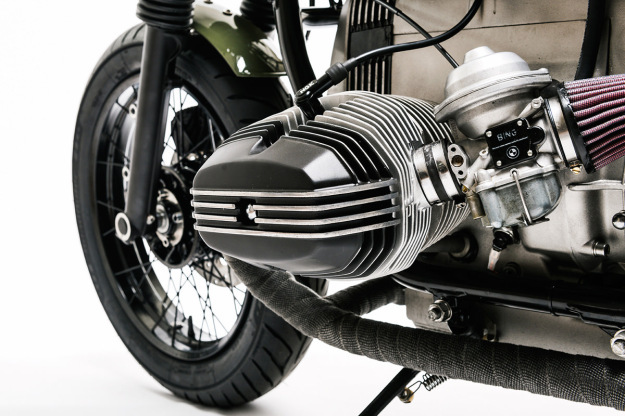 Urban Motor have also made a custom gearbox casing cover to replace the airbox and complete the engine’s line. The battery’s now located underneath the frame, and the engine has been treated to a pair of K&N filters and new mufflers. When it came to speccing parts for the R80, no stone was left unturned. 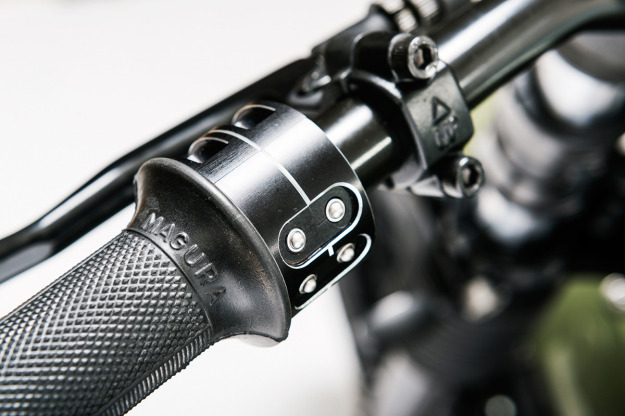 It’s kitted with a Brembo PS13 master cylinder, Stahlflex brake lines, and LSL handlebars with Magura grips and Tommaselli controls. There are also mirrors from Oberon, rear-sets from Tarozzi, a new 5 3/4” headlight and LED turn signals with a brake light feature integrated into the rear pair. Finishing it off is a small alloy front fender, and a hand-made, side-mounted license plate bracket. 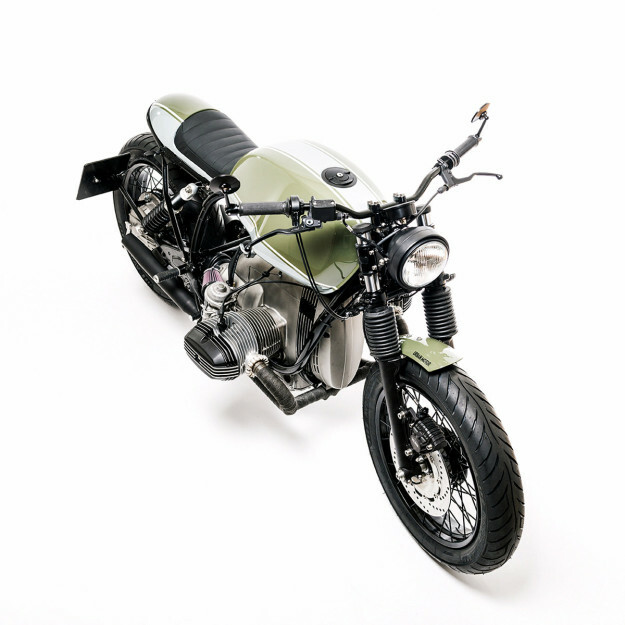 When all was said and done, Urban Motor designed a sublime green and white paint scheme—sending it off to Sven van den Brandt to execute. Check the way the lower white section of the tank aligns with the seat unit. Like the rest of the R80, it’s just wunderbar. Urban Motor website | Facebook | Instagram | Images by Tim Adler Photography.